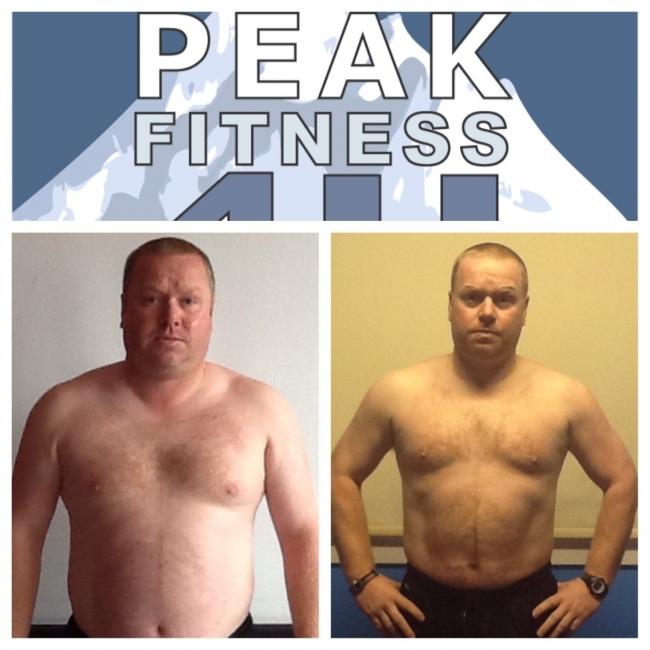 I joined Peak fitness 4u gym in the middle of January 2013 and have lost nearly 4 stone and over 10% body fat. I have received Massive amounts of help and support and motivation whenever I needed it. I could not have achieved these goals without the support from the Peak fitness 4u staff, fantastic people and fantastic facility! Peak Fitness 4 U is the best local gym around, I’ve been one of the longest members. There is always a great buzz about the place & all the staff work hard to help you achieve your goals! I joined the gym in September 2012 after a recommendation from my Mum who was currently a member. Since then I have really enjoyed getting to know the staff. Throughout my time here the staff have provided me with several fitness plans and nutritional advice and have measured my progress on a regular basis. This has undoubtedly helped me towards achieving my goals. 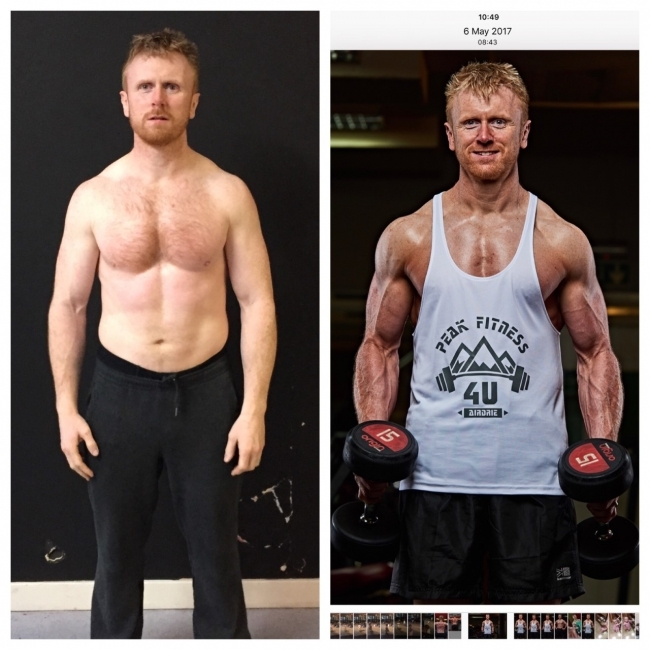 I joined Peak Fitness 2 month insanity challenge and saw some dramatic results through a combination of great nutritional advice, hard work & motivation from the fitness instructors and also the other gym-goers trying to push each other. I lost 13lbs of body fat, and gained lean muscle, as well as feeling a lot healthier. I got some great advice and knowledge from the fitness instructors. 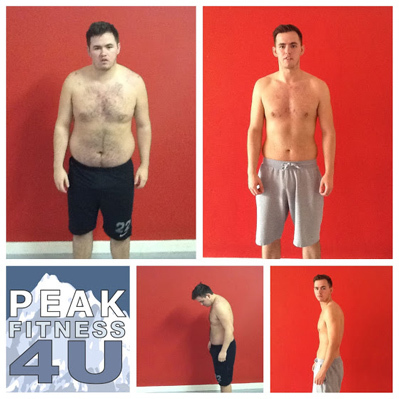 This made me decide peak fitness was the place to do my training as I knew from the short time I was there I would get results. That’s what Peak Fitness 4U is all about. It really does do what it says – IT GETS RESULTS. There are excellent facilities in the gym vast amounts of free weights, weights machines and plenty of cardio equipment- everything you need. For me the best part of peak fitness is the staff, they really care about you and want you to get results. If they see something is not working for you they will change your programme and give you plenty of advice on what you should be doing. If you look round the gym you can see loads transforming/getting results, male, female, old, young. In the last 15 years I’ve been in numerous gyms and this is definitely the best one. If you don’t believe me then come and try it for yourself! I joined Peak fitness 4u at the start of September 2012. The reason I wanted to join was to lose weight and tone up for my daughters wedding in April 2013. I discussed my goals with Anthony and we set a time-scale for me to achieve them. I was given different programs in the gym to challenge me and I was advised on what foods I should be eating. I have had weekly weigh-ins to monitor my weight and keep me focused. I was constantly encouraged and supported over the few months that it took me to reach my goals, I did achieve my goals in the time that we set. I would never have done this by myself, I am grateful for all the support shown by all the staff. Each staff member knows you by your first name and they make you feel like part of the gym family! Now after completing the Insanity, Beach Body challenge I have never felt fitter or as toned before. I never believed training in a gym could be so much fun! Peak Fitness 4u have made that fun for me and also my family who have all joined in as well. I found out about Peak Fitness 4U by a Facebook post offering a lean body challenge and an opportunity to win £200! With a wedding in a few months I figured this would be a great way to lose weight and win some money towards my wedding. With a the help of the gym staff I was given a training plan along with a diet plan. After the 60 day challenge, I was weighed and my final picture taken and as a result of the training and diet programme given I won the ladies catagory. This is when I decided to join as a full time member. Since then the gym staff have regularly set ma new challenges which I have enjoyed. Training is now a way of life and not a chore. I joined peakfitness4u on 29 Dec 2016. I just had a lightbulb moment about my weight which was just over 18 stone with a waist size of 48 aged 55. I spoke with Anthony who immediately made me feel welcome. He listened carefully to my story and desire to loose weight. I had a goal in mind to loose 3 stone in a year. Anthony advised me how this could be achieved. I went to work following the plan they put in place for me with weekly weigh ins. I have been delighted with my results to date. I have just about reached my goal and I’m delighted that I can now shop in what I’d call “normal shops” and buy jeans with a 36 waist. It hasn’t been easy but Anthony and his team have supported me all the way especially when I don’t see progress, and through injury. I look forward to another year ahead to see how I can progress further. I’d recommend peakfitness4u to anyone. 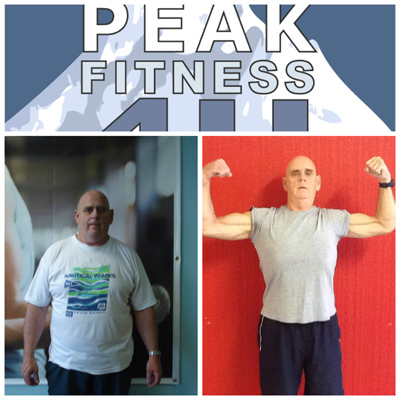 I joined Peak Fitness 4u and was given all the advice with regards to Exercise and nutrition to get great results. Was also weighed on a weekly basis which really helped with accountabilty. My name is Eamonn Gallagher. In June 2010 I had some health problems. Being overweight and unfit were the main reasons that it was time for me to change my lifestyle so I decided to do something about it. I decided to contact Peak Fitness 4u for advice and on doing so I booked an appointment for a consultation with Anthony Murray. After out discussion he devised a plan to help me improve my health, change my diet and achieve my goals. At the start my weight was 19stone 4lbs and my waist size was 48inches. We then decided on a exercise programme. At this present time Anthony informed me that there was a challenge to raise funds for cancer research which Anthony said for every 1lb lost £1 would be donated by him in a period of 6 weeks. I lost 35lbs costing Anthony a total of £35 which he was glad to pay. 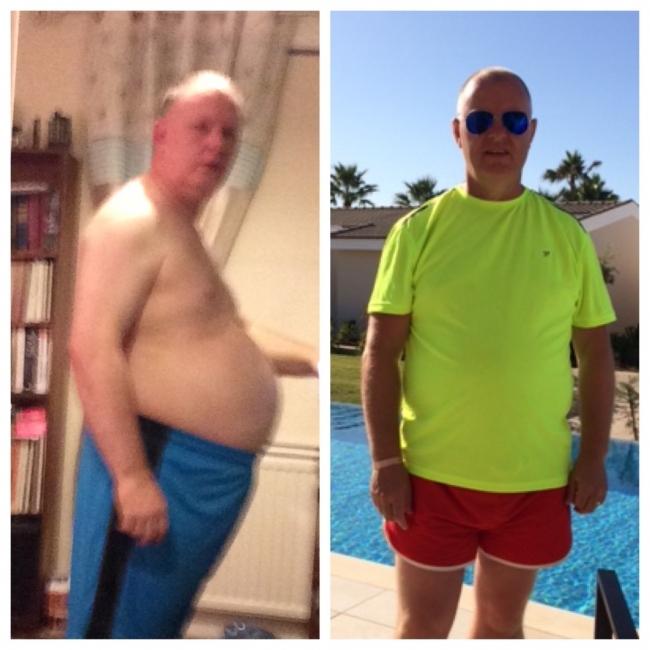 With the assistance of Anthony and other members of his staff I progressed very well and was on the right road to achieving my target weight which was 14stone. 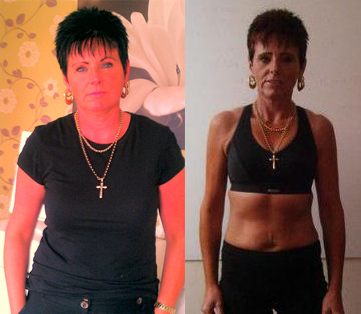 My programme was changed every 6 weeks for the development of all the relevant areas of my body. I usually train 3 times per week and sometimes more if I have the time. It has been a lot of hard work and also fun. My present measurements are 14stone 4lbs and my waist is 36inches. I hope to continue going to the gym to maintain my weight. Anthony has used my profile to promote the gym to let the public know what can be achieved with motivation and commitment from a 64 year old. I thank Anthony for his continuous help and for monitoring my progress. I’ve been coming to the gym for around 18 months and at 33 am now the fittest I’ve ever been. This is thanks to the great trainers who are friendly & knowledgeable and have helped me with nutrition and different training techniques. The gym has been recently refurbished and has first class facilities with plenty of free weights & machines and there is a great atmosphere which makes training here a pleasure. If you’re considering joining a gym in the Lanarkshire area then this is definitely the place for you. 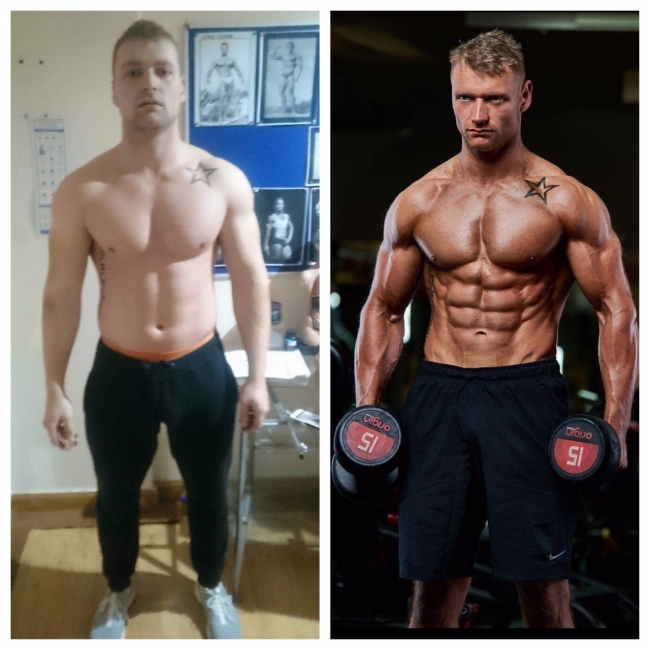 Peak fitness is a fantastic gym with friendly knowledgeable staff and great equipment, everything you could ask for in a gym and running the insanity classes gave me the extra motivation I needed to train harder, eat clean and change my physique. I’ve been using Peak Fitness 4 U for over a year now. I have reached almost all of my goals with the help of the fabulous gym instructors and personal trainers to guide me along the way. I think Peak Fitness 4 U is a great gym with no posers, just people willing to train hard. I would recommend this gym to anyone. I started off coming in at weekend's to further my training and knew instantly this was the place for me. The variety of equipment available was next to none and since the refurb in January has become even better and more functional. I trained here for a year or so with amazing results due to the training and nutritional advice I was given. I managed to get myself in fighting shape for my first competitive fight last year. 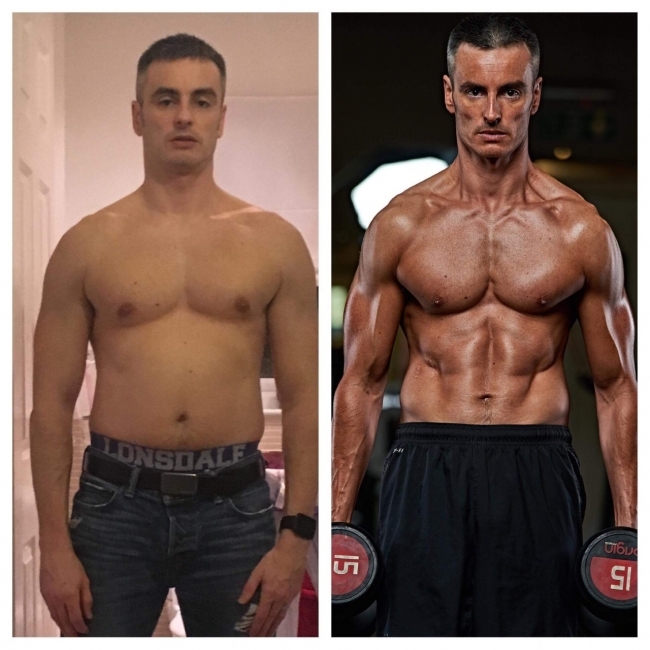 since then Anthony has given me the opportunity to work in the gym as a gym instructor, which has been amazing having a job I enjoy and learning every day. 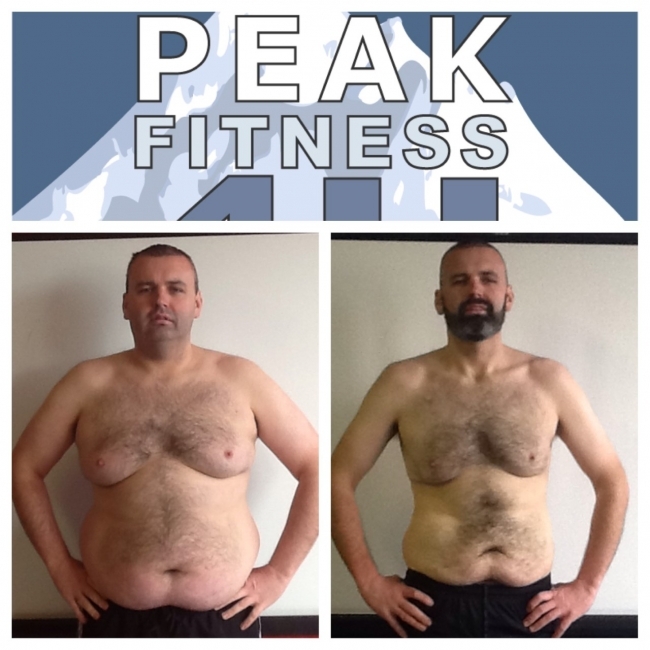 When I joined Peak Fitness 4U in February 2014 i was really fed up being over weight and made a decision that I had to change. When I came into the gym at first I was really nervous as I had never set foot in a gym in my life and was unsure what to expect. After speaking with Anthony I was given reassurance that they would give me all the help and support I needed to help me reach my goals. After this conversation I had confidence that Anthony had a genuine desire to help me. I then made an appointment with Anthony where I had all my weight and bodyfat stats done we also had a chat about what I wanted to achieve by coming to the gym. Anthony agreed my goals were doable and provided me with and provided me with a nutritional and fitness plan to get started. this was followedup by a weekly appointment with a member of staff to check my progress. Things got off to a great start as the weight was moving off me very quickly. I did have a spell where i wasn't loosing weight and it had crossed my mind that this may not be working for me. This was at the time where i found i needed the most support and I am thankful that after a chat with Anthony I was given the kick up the backside I needed. This gave me the motivation to step it up and i started losing weight again. When i started the gym I was 20 stone 11lbs, 34% bodyfat and had a metabolic age of 50. Now within 10 months I am now 15.1 lbs, 19.6% bodyfat and have a metabolic age of 30. I have totally changed my life as I can now perform better at my work, I can wear clothes I never would have wore before, I have gone back to playing the sports I love such as badminton and 5 a sides and I feel much healthier. I realise that the work isn't done yet and that the harder work lies ahead however I am confidentwith the guidance and support from the guys at Peak Fitness 4U that I am in good hands and I will get to my ultimate goal. I know it may sound cliche but if I can do this you can to and I would urge you to give the guys at Peak Fitness 4U a try as they genuinely care. ANTHONY MURRAY PEAK FITNESS 4U OWNER! My name Anthony Murray I am the gym owner at Peak fitness 4u. I have many years expierence in the fitness industry. 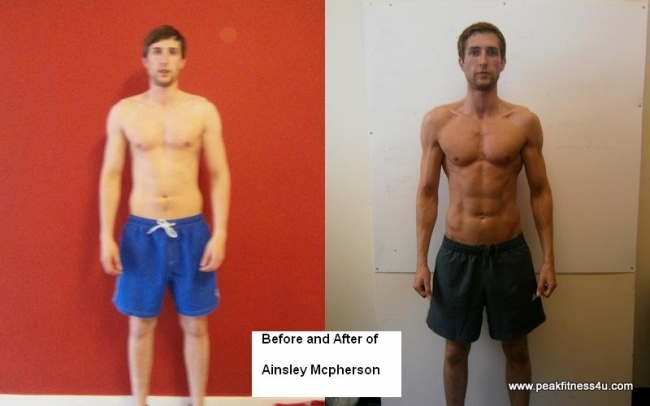 I along with my staff have helped a lot of our clients achieve their amazing results. And i would love to help you achieve your goals. Whether you want to lose weight , build muscle, improve strength or improve fitness I would love to help you. Please let us know if there is anything I can do for you.